While driving the Coquihalla Highway is no doubt the quickest way to get from Kamloops to Vancouver, the Fraser Canyon is the most beautiful. With seven tunnels cutting through the rugged mountains, magnificent views of the Fraser River and historic stops along the old Gold Rush trail, this route is well worth traveling the extra mile. Along the way, be sure to take a ride on the Hell’s Gate Airtram. One of the earliest explorers to navigate this area was Simon Fraser (20 May 1776 – 18 August 1862). This fur trader, who charted much of what is now the Canadian province of British Columbia, was employed by the Montreal-based North West Company and was in charge of all the company's operations west of the Rocky Mountains. He was also responsible for building that area's first trading posts. The name Hells Gate was derived from Simon Fraser’s journal. In 1808 he described this narrow passage as "a place where no human should venture, for surely these are the gates of Hell” and noted that safe water transportation through the 115 foot wide opening has proven virtually impossible. For centuries the narrow passage has been a popular fishing ground for First Nations communities in the area and eventually European settlers started to congregate there in the summer months to fish. 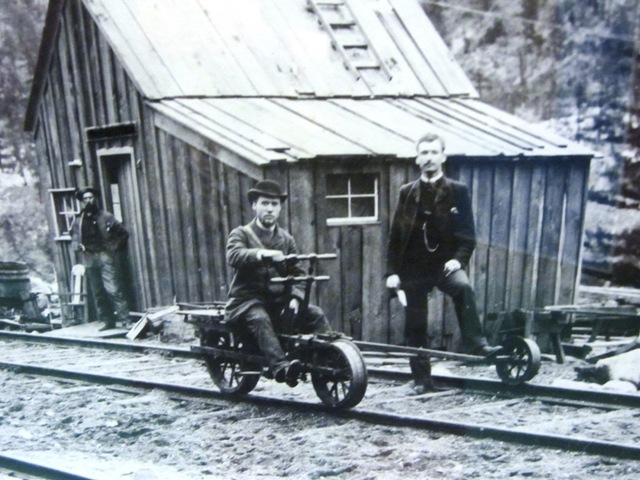 In the 1860’s, the Fraser Canyon became a route used by gold rush miners wishing to access the upper Fraser Basin. 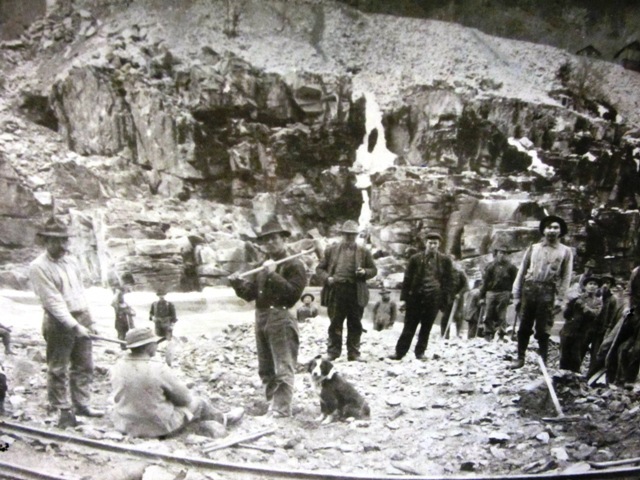 In the 1880s the Canadian Pacific Railway built a transcontinental railroad that passed along the bank at Hells Gate, and in 1911 the Canadian Northern Railway began constructing a second track. 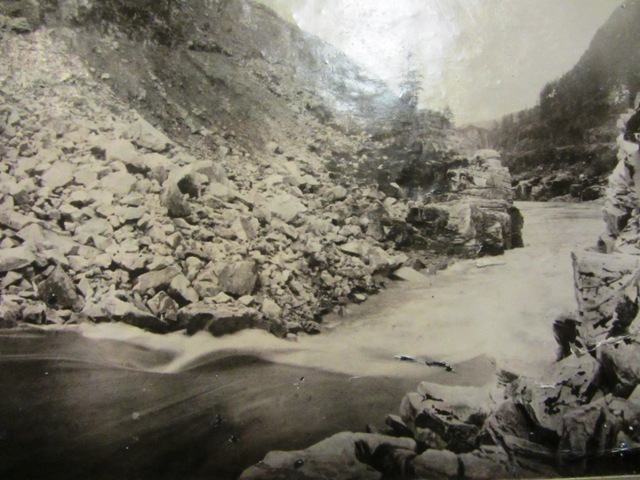 In 1914 a large rockslide triggered by the railroad construction fell into the river at Hells Gate, obstructing the passage of Pacific salmon swimming upstream to spawn. As a result, the salmon population began to decline. In 1937 the International Pacific Fisheries Commission was formed by Canada and the United States. They carried out extensive research, and recommended that fishways be constructed to help migrating salmon pass through Hells Gate. Building of the fishways began in 1944. 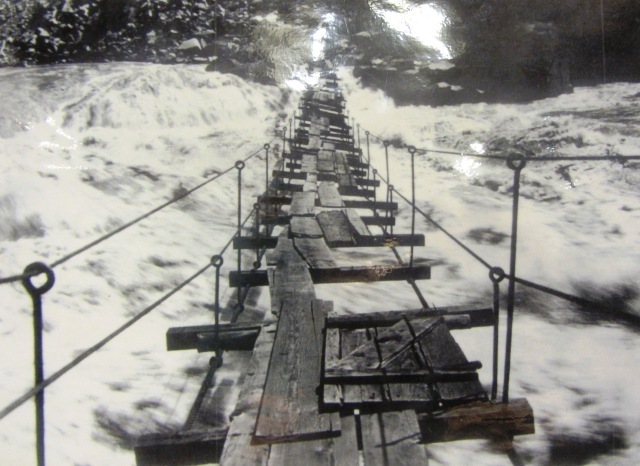 In 1971, Hells Gate and its fishways became a tourist attraction with the completion of the Hells Gate Airtram. The tourist site now boasts food outlets, observation decks and an educational fisheries exhibit that displays different short films regarding the area’s history as well an ecological documentary on the salmon run. One of the first displays you will come across after exiting the tram is the Hell’s Gate Haunted Stove. Legend has it that the stove was once manned by a skilled Chinese Chef called Johnnie who ensured that railways workers always had a hearty well cooked meal to look forward to at the end of a hard day. That is until one dark moonless night what Johnnie mysteriously vanished and a replacement was hastily found. To everyone’s surprise, a strange thing happened…Johnnies stove refused to light, while a number of men tried, none of them could kindle a decent fire. In desperation, a search party was sent out to find Johnnie and after much searching, their favorite cook was found and returned to a hungry camp. Johnnie and his stove continued to turn out delicious meals until his demise on July 10, 1890. Now every year on the anniversary of his death, the stove feels faintly warm even though no fire has been kindles in it since. Some believe there is a connection between this event and the eerie goings on in the gift shop – which occupies the original building that once housed Johnnies stove. HOW TO GET THERE – Hells Gate Airtram is located 35 minutes East of Hope on Highway 1. For more information check out their website at www.hellsgateairtram.com or call (604) 867-9277. The site is completely wheelchair accessible with handicap parking stalls conveniently located right next to the main building. Visitors can hike down the mountain and cross into the village over the bridge or they can purchase a tram pass. Trams leave every ten minutes. To be the first to know about any new places I visit, follow me on social media!